Having an aggressive stance and a sleek profile, the 2018 Subaru WRX is a four-door sedan that's available in five models. 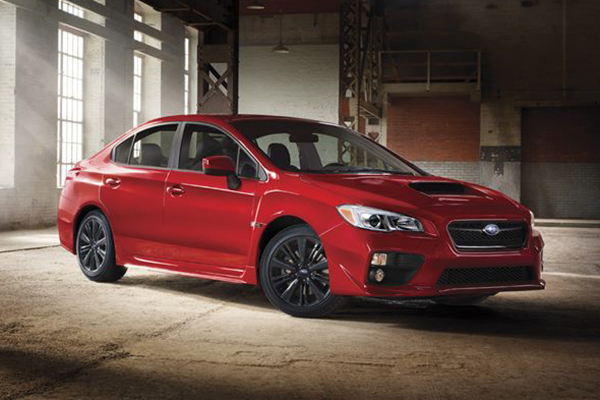 The 2018 WRX is powered by the turbocharged BOXER engine that has an inline configuration. This model is available with plenty of high-performance installations, including the Subaru Intelligence Drive and Symmetrical All-Wheel Drive. Customers looking to buy the 2018 Subaru WRX near Lawerence KS should contact Briggs Subaru. When shopping for a 2018 Subaru WRX near Lawerence KS, customers should ask about the car's Rearco front seats that are inspired by racing ergonomics. The All-Weather Package adds heating to the front seats. A Subaru dealer serving Topeka Lawerence Manhattan Kansas offers plenty of high-tech amenities for the WRX. For example, this model is available with the STARLINK multimedia system that includes a 7-inch touch screen with GPS navigation. This signature console offers access to SiriusXM Satellite Radio, iHeartRadio, Pandora, Stitcher and Aha. Music can be played on the Harman Kardon sound system that includes nine total speakers. A 440-watt amplifier is also included in this premium audio system that's available in the Limited and STI Limited. The other trims are equipped with a six-speaker sound system that still offers good acoustics. The 2018 Subaru WRX near Lawerence KS has a trunk spoiler and multiple underspoilers that improve aerodynamic performance. A rear bumper with an integrated diffuser is another racing-inspired installation on this aggressive car. Serving Topeka Lawerence Manhattan Kansas, Briggs Subaru Topeka will highlight the vehicle's exhaust system that has quad outlets with a stainless steel finish. This dealer also offers the All-Weather Package that includes a windshield wiper de-icer and heated side mirrors. Two-speed windshield wipers are standard on this versatile Subaru. Some of the trims come with a power moon roof that includes a sliding glass. Halogen fog lights and the LED Steering Responsive Headlights (SRH) are some notable lighting installations on this car. The 2018 Subaru WRX comes standard with the Symmetrical All-Wheel Drive that guarantees good traction on paved roads and rugged trails. In some trims, this advanced drivetrain is paired with the Continuous AWD technology. The Variable Torque Distribution AWD is optional in the 2018 WRX Premium and Limited editions. Briggs Subaru Topeka will also mention that the Driver Controlled Center Differential AWD is available in the STI and STI Limited models. Other performance-enhancing features in this Subaru include the Vehicle Dynamics Control and Traction Control System. When working in sync, these features improve handling on curved roads or slippery surfaces. This Subaru comes with an electric power-assisted steering system that has a quick-ratio mechanism and a rack-and-pinion configuration. 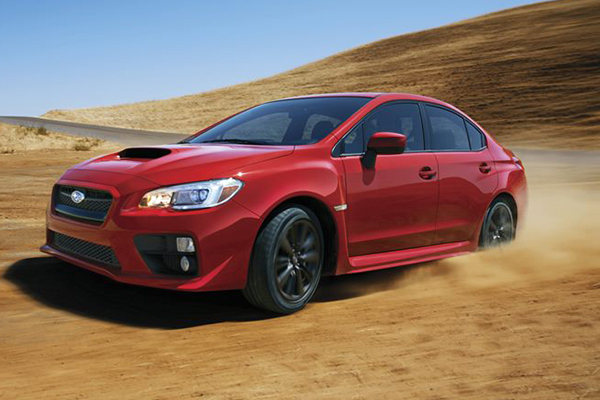 A sport-tuned suspension system further boosts the capabilities of this sporty Subaru car. Ventilated disc brakes are installed on the car's front wheels. In the STI and STI Limited, the Brembo brakes are standard. All of the WRX models include the Brake Assist and Brake Override System. The 2.0 L BOXER engine in the 2018 Subaru WRX is capable of whipping out 268 horsepower at 5,600 RPM and 258 pound-feet of torque at more than 2,000 RPM. This four-cylinder engine includes a twin-scroll turbocharger with an intercooler. The 2.5 L BOXER engine yields a maximum of 305 hp at 6,000 RPM and 290 lb-ft of torque at over 4,000 RPM. Both of these compact turbo engines run on the Dual Active Valve Control System (DAVCS) that precisely manages the timing of combustion. The 2018 WRX is available with the Subaru Intelligent Drive System that optimizes handling on any surface. This advanced technology includes several modes that are partially managed by the Engine Control Unit. An electronically-controlled throttle also improves handling based on real-time conditions. Briggs Subaru will highlight the vehicle's fully synchronized manual transmission system that has six gear speeds. Additionally, this classic transmission is available with a close-ratio design for a truly custom drive. 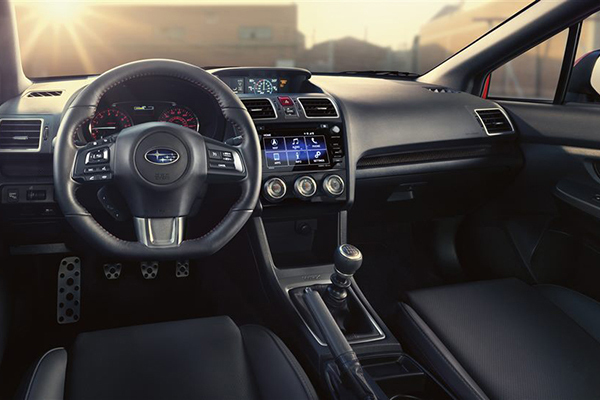 Some of the WRX models are compatible with the Sport Lineartronic transmission system, which offers up to eight manual speeds and the Auto Vehicle Hold function. The Incline Start Assist is integrated into all of the transmission systems that are available in the WRX. The 2018 Subaru WRX is available with the EyeSight Driver Assist technology. This signature suite includes the Pre-Collision Braking System that mitigates the severity of a front crash. The Adaptive Cruise Control is also capable of engaging the brakes in order to prevent a forward collision. With some guidance from the Lane Departure and Sway Warning, you are unlikely to get into a side collision on a multi-lane highway. Additional cues may be delivered by the Lane Change Assist, which works in sync with the Blind Spot Detection. If there's an imminent risk of a rear collision, the Rear Cross Traffic Alert will come on. This sporty Subaru also offers the Reverse Automatic Braking that responds to other cars that may be moving from behind. Installed in the Limited and above trims, the STARLINK Safety and Security platform includes the Automatic Collision Notification and SOS Emergency Assistance. You can also use the STARLINK connection to request roadside assistance. Serving Topeka Lawerence Manhattan Kansas, Briggs Subaru has a large inventory of 2018 WRX models. This dealership invites local customers to test drive all of the five trims that are available for this sporty Subaru. Briggs Subaru Topeka can install plenty of optional features, such as the EyeSight safety package or the All-Weather package.